Effective practices of Auricular Medicine can only be achieved through a thorough understanding the auricular points, including their exact location and differential functions. In this course, Dr. Li-Chun Huang, world’s leading expert in Auricular Medicine, focuses on Specific Points, which can be used to diagnose and/or treat specific diseases, such as diabetes and blood pressure. Due to copyright reasons, lecture notes do not contain any photographic content, but do contain textual information. For optimal learning, attendees are encouraged to purchase the Colored Ear Charts ($17 for left ear, $17 for right ear) from www.evherbs.com. Auricular acupuncture, when used correctly, is one of the most effective methods of Traditional Chinese Medicine (TCM) healing. 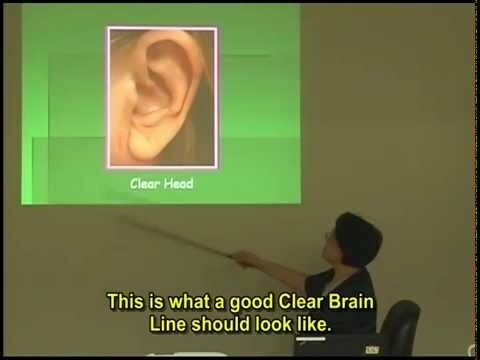 As a researcher and clinical practitioner of auricular diagnosis and treatment for over 40 years, Dr. Li-Chun Huang is one of the leading experts in auricular medicine today. Attend this course to discover detailed information on the most important auricular points, including their locations, diagnosis values, and treatment methods. In this course, Dr. Huang focuses on the Specific Points, which can be used to diagnose and/or treat specific diseases, such as diabetes and blood pressure. Attend this class to learn the functional relationships between the auricular points and the internal organ systems, and to hone your auricular skills to improve the accuracy for the diagnosis and treatment of many specific disorders. Day 2 of this course is not required but is highly recommended for an optimal learning experience. Click here to see the Day 2 course description and register. Submitted by Lotus1 on Thu, 09/03/2015 - 4:25pm. I have studied and applied Dr. Huang's work in Auricular Medicine extensively over the past 15 years. I am glad at this opportunity to review and extend my knowledge in this area. This speaker has excellent knowledge of the subject matter & am looking forward to future courses by her.